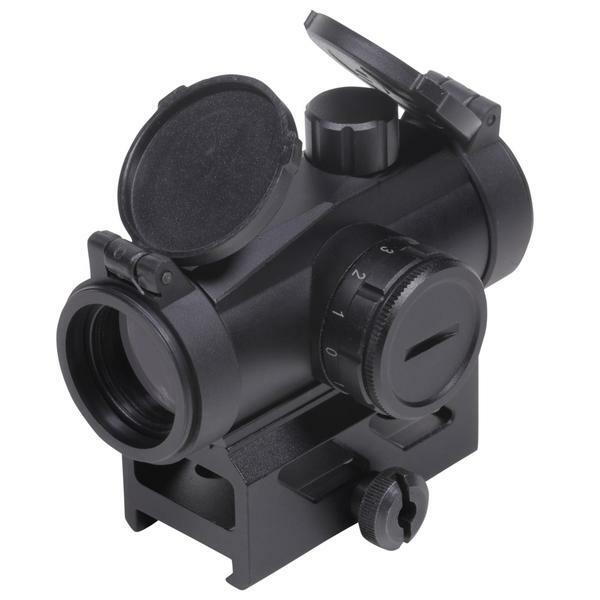 Helping shooters achieve lightning fast target acquisition, the Impulse 1×22 Dot Sight is ideal for target shooting and hunting on rifles and shotguns. 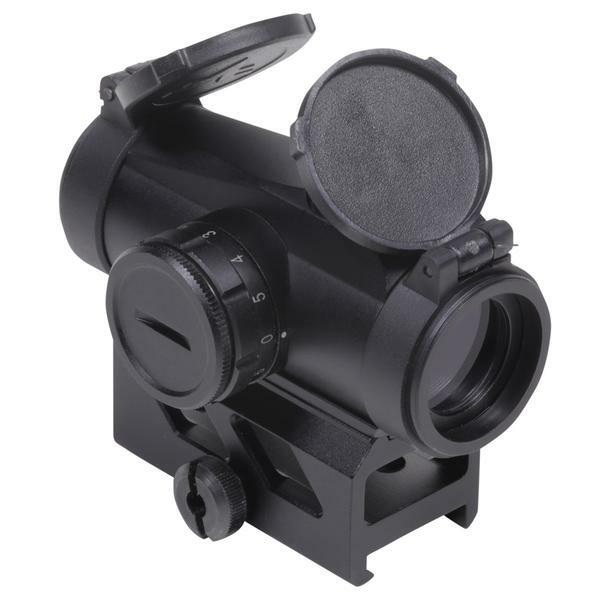 Red or green reticle illumination lets shooters choose their preferred circle dot reticle color for different situations. Featuring an aluminum construction and matte black finish, the Impulse 1×22 offers shockproof, fog proof and IPX5 weatherproof protection. Weighing in at just 7.5 oz., this Texas designed optic is perfect for your next SBR or lightweight MSR build. 15-240 hours of battery life (depending on setting) is achieved from one CR2032 battery. The Impulse can handle recoil up to .50 caliber and comes with flip up lens caps and battery.